Because of my low self-esteem and desperation, I often ended up with men who were not ready to commit or couldn’t give me what I needed. After a few months I would feel drained and the relationship would come to an end. Again, I would find myself back on the dating scene desperately looking for Mr. Right: flicking through tonnes of profiles, interacting with hundreds of men and meeting a handful of them only to find out that I had nothing in common with most of them. It was frustrating and disheartening. It was an emotional roller coaster: of hopes and disappointments, loneliness and tears, rejection and heartbreak, with the odd bit of fun. After my last low quality relationship, I panicked. I was thirty. I had no husband, no kids, no house, nothing to my name. And I still thought that having a man was the solution. I redoubled my efforts, going on a string of boring and uninspiring dates with guys who had nothing to offer. By this point, I was absolutely exhausted with the whole thing. I was tired of dating and chasing love, tired of waiting for The One, tired of hoping, tired of having to constantly pick myself up and put myself back in the dating game. At that point I had lost my all faith in love, which although didn’t feel nice, was the best thing that could have ever happened to me. After one of my boring dates, I woke up the next morning and couldn’t even remember the guy’s name. It felt wrong. I reflected upon my last few dates and realized that I didn’t want to waste my time any more. This was the moment of truth. For the first time in my dating career I was honest with myself and admitted that all my crazy dating efforts hadn’t brought me my desired outcome. I was nowhere even close to finding The One. I felt useless. I felt like a failure. I felt like there was something fundamentally wrong with me since I couldn’t even find one freaking man with whom I could be happy. How much dating do you have to do to find one man, right? I sat down and asked myself a few questions: Why am I running away from myself? Why do I so desperately want to have a relationship? Why can I not stop dating and just be with myself for a while? And most importantly, what am I learning from being single? That was it. I took a notebook and started writing and the answers kept flowing. After asking myself these fundamental questions, I realized that the only thing to do was to stop dating. I wanted to take some time out to re-evaluate my approach to love and romantic relationships. I deleted my online profiles and cancelled my memberships. I started my dating detox. I felt a deep desire to reconnect with myself. For about two years I didn’t even think about men. I focused on myself. I didn’t pursue anything. I stopped hoping. I let go of my expectations. I was free. I began to appreciate many things about my single status. I found so many blessings in living my life as a single person. I genuinely started to like being single rather than run away from it. The more I connected with myself, the less lonely and desperate I felt. I stopped fearing lonely weekends as I filled them with things I loved doing. Life became easier. I started to enjoy spending time on my own. I became comfortable with silence and solitude. Bit by bit I was finding myself. Then one day, I felt complete for the first time in my life. I had found my bliss. After my transformation, I was ready to date again—just for fun, with no expectations. I definitely wasn’t looking for a serious relationship. I went out with a few high quality men and I enjoyed my dates even though I didn’t click with them romantically. I had more fun. A few short months after my detox, I met a charming, wise, mindful and very loving English man who exceeded all my expectations. I fell in love with him and he fell in love with me. For the first time in my life, I am in a happy and healthy relationship with a man, not a boy, for a change. And together we have a little munchkin who has brought even more fun and happiness to our lives. This is something I had given up on a long time ago; with my luck in love I didn’t believe that I would ever find a man who I could have a family with. When I became happy with myself I became also ready to meet a happy and emotionally healthy man. Having done the inner work, I had become the woman who was ready to attract her dream man. I became the person I was looking for. Dating detox was the best thing I could have ever done to turn my love life around. My journey through seven years of singledom, more than a hundred online dates, and one dating detox had taught me many lessons and helped me find myself. I want to share five of the most important lessons with you. Resisting being single will only create more conflict within yourself. I hated being single for years. I desperately wanted to be in a relationship to feel happier, but I kept attracting wounded men like myself. This running away from being single didn’t serve me one bit. I eventually came to the realization that being single is being in a relationship with oneself. This is the most natural relationship of all, but we have been conditioned to believe that we need someone else to be happy and fulfilled. If there is no man or woman in your life, you connect with yourself. Nothing will give you more comfort than finding this secure place within yourself. Make the most out of your life while you are single. There are so many advantages to being single and it is time to start to count your blessings. Accepting your single status is a crucial step in becoming ready for a relationship. When you become a happy single person, the desperation for a romantic relationship disappears. You are then in a much better place to attract someone who is emotionally healthy and happy. You want to find yourself in a place where you want a relationship, but don’t need one. For years I had been putting my happiness in the hands of men. I spent too many years being miserable waiting for a man to come along and make me happy; every time I was single I was unhappy. When I realized that I might be single for another five or ten years, it hit me that I didn’t want to spend them being miserable. I stopped putting my life on hold and started to enjoy my life in the here and now. I stopped postponing my happiness. I started to do all the things I had imagined doing with my future partner. I signed up for the gym. I travelled more. I started to save up for my future house. I took up swimming, working out, yoga etc. And guess what. When you are happy you become more attractive, and you attract a different kind of person. Not only did my single life improve but also my dating and love life. Most of all, I discovered that I didn’t need anybody else to be happy. I realized that I was responsible for my own happiness and not some man as I had believed for many years. 3. Recognize that your relationship with yourself is the most important one. I figured that the relationship I have with myself is the only guaranteed relationship I will ever have. Others might come and go, but I can’t ever escape myself. The quality of the connection you have with yourself will determine the quality of your relationships with others, including romantic relationships. If your relationship with yourself is not happy and healthy, it will be difficult for you to create a healthy and happy relationship with someone else. Your romantic relationship is only as good as the relationship you have with yourself. I tackled loneliness first. I started to spend more time in my own company. I scheduled quality time with myself in my calendar. I had Sundays to myself. Solitude and silence became my friends. I wrote a lot, kept a journal and made time for self-reflection and meditation. These practices helped me dive deeper within myself and I began to feel stronger and more secure within myself. For the first time in my life, I started to enjoy being with myself. If you don’t love yourself, you cannot fully love others and neither can you fully receive love. 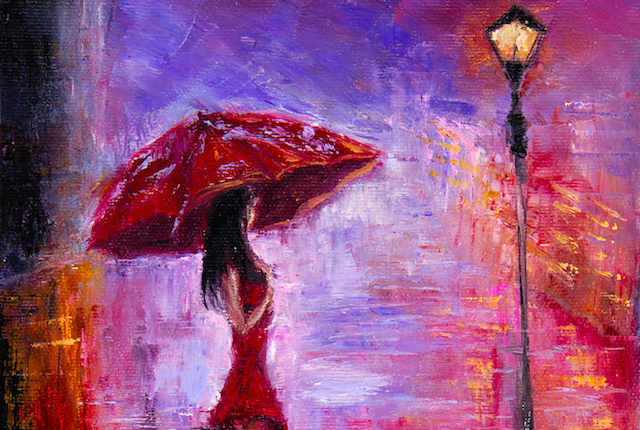 It took me twenty years to understand what self-love actually is. And for me it is a practice, not a feeling. It is a practice of choosing myself and what feels right for me. When you start practicing loving yourself so many things start to change in your life. Your confidence and self-esteem increase. You have the courage to be your authentic self. You stop looking for approval. You become better at asserting your own needs when it comes to dating. You recognise your own value and you aim higher in love. You have stronger boundaries. You become more selective. These all lead to making better romantic choices and choosing better partners. Self-love is seriously powerful. I found true love when I started to love and honour myself – and I thought my job was done. Now that I am in a relationship, I realize that this work never ends. You constantly need to practice self-love. You will find new depths to this practice and experience new aspects of self-love. But to be happy in a relationship you must first love yourself. 5. Find yourself before you find your partner. To find true love, you need to know your true self. Take some time to explore who you really are. Spend some time in solitude and be prepared to answer some honest questions about yourself. Question your beliefs, as you may find that some of them are not even yours! What are your needs? What are your dreams? What do you want? What is important to you in life? Attracting a partner from a space of knowing yourself well usually results in finding someone who values and wants the same from life. When you don’t know who you are, you also cannot know who you want to share your life with. Finding yourself is also about realizing that you are a whole and complete person. It is about understanding that you are capable of satisfying your own needs and desires. It’s about making your own dreams come true, being comfortable on your own, having a strong relationship with yourself and living your life as a single, proudly and boldly. When I look back at my single life and all my struggles in love, I now understand that I was searching for love in the wrong way. If I had to do it all again, I would start with a dating detox and getting to know myself first. Only then you can find your true match and build an amazing romantic relationship with another person.